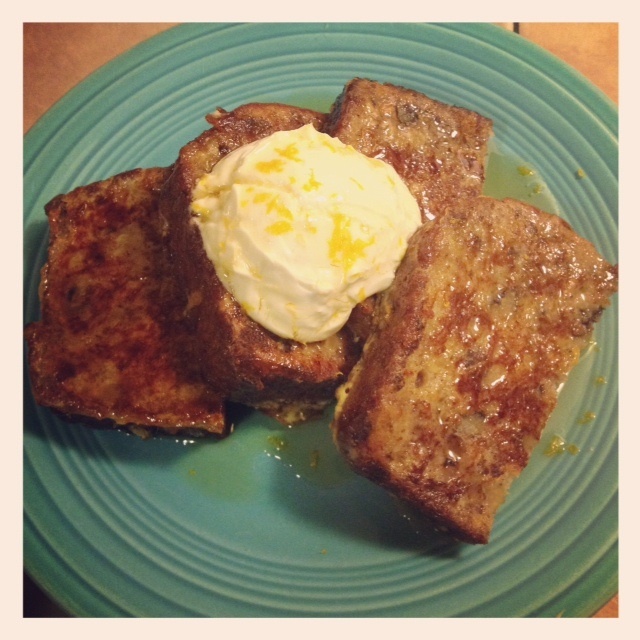 When life hands you dry banana bread…then make Banana Bread French Toast! 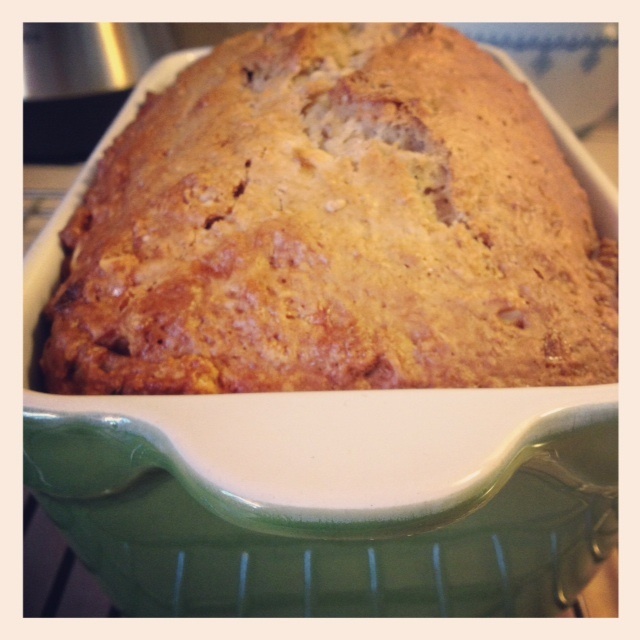 The banana bread recipe had great flavor, but baked really dense and quite dry. To fix the dryness in the recipe below add an additional banana and an additional 2 TBS of melted butter. The inspiration for the banana bread french toast came from a breakfast I had with Kate during one of our trips to Austin, TX. The South Congress Café serves up an amazing Carrot Cake French Toast. It has been highlighted on the Food Network and was worth every calorie. I just remember eating that on our last day in Austin trying to think of how I could take the left overs with me, but we were heading to the airport, ha! Preheat oven to 350 degrees. Grease your 9×5 inch loaf pan with nonstick spray. Spread the walnuts on a small baking sheet and bake 5-10 minutes until fragrant. Mix the wet ingredients including the zest in a medium bowl. Gently fold the banana mixture into the dry ingredients, with a silicone spatula until just combined and the batter looks thick and chunky. Scrape the batter into the prepared loaf pan. Bake until loaf is golden brown and a toothpick inserted into the center comes out clean. Total baking time is 55 – 60 minutes. Rotate the loaf at the 30-minute mark of the baking time. Cool in the pan for 5 minutes, then transfer to a wire rack to cool. ¼ c Pure Maple Syrup (heated) for drizzling… yum! Place a large skillet over medium heat. Melt 1 TBS of butter in the skillet. Place the egg wash soaked banana bread slices in the skillet and cook for 3 minutes on each side. Remove cooked slices from heat and cut in half. Place 4 halves of the slices on each plate. 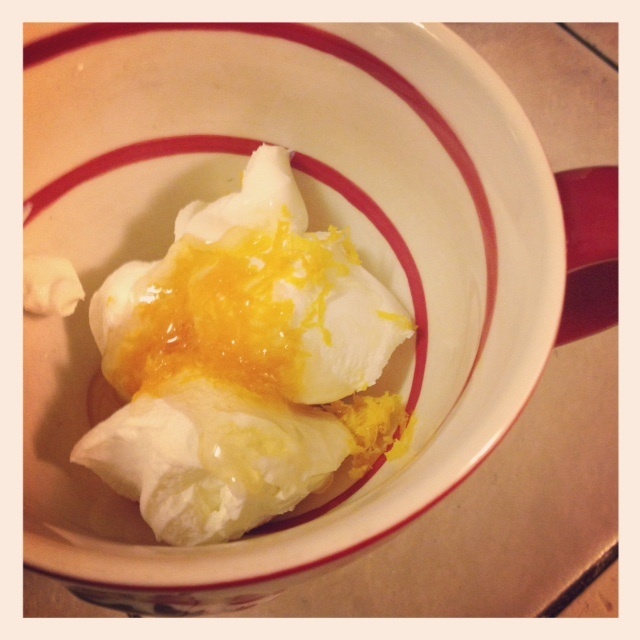 Top with a heaping TBS of greek yogurt topping. Grate orange zest over the top for garnish. 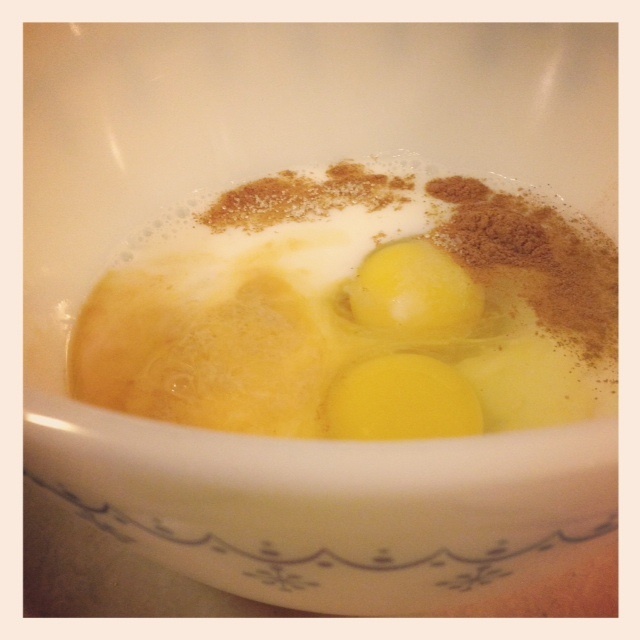 In a small microwave safe bowl pour ¼ c of pure maple syrup. Heat in microwave for 20 seconds. Drizzle over the French Toast and enjoy! Looks delicious! So many interesting concepts and recipes here. I like!